So you see.... it’s "not just a cleaning" in this office! Gum disease is the most prevalent infection affecting the human race. Did you know that 80% of the population has some form of periodontal disease? Fortunately, 75% of periodontal disease is gingivitis. The other 25% is called periodontitis. 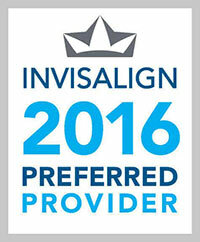 We will educate you about the causes of and the differences between the two types of periodontal diseases. Our goal is to work with our patients as co-therapists to help prevent the disease from becoming worse. Dental plaque forms continuously 24 hours per day, so it must be removed every day with brushing and flossing. If you allow the plaque to build up it forms tartar, or calculus, which cannot be removed by brushing. The bacteria that cause periodontal disease thrive around these deposits. The bacteria give off toxins which cause the destruction of the bone around the teeth. Gingivitis is characterized by red and puffy gums, as well as bleeding upon brushing. The soft tissue, or gums are inflammed due to the constant irritation from the plaque and calculus. Gingivitis is easily treated with routine oral hygiene care to remove the deposits, followed by proper home maintenance. Periodontitis develops when the infection moves from the gums to the underlying bone. When the bone gets infected, it reacts by dissolving away. Once the bone is lost, it will not grow back. Periodontitis is also characterized by spaces opening between teeth and loosening of the teeth. Periodontal disease is detected by visual examination as well as the use of x-rays to detect bone loss or changes. A periodontal probe is also used to detect bone loss. In a healthy mouth, the bone and gums extend to the base of the enameled portion of the teeth. The periodontal probe is used to measure the sulcus, or trough that exists between the gum and the teeth. A normal sulcus measures 2-3 millimeters deep. If the depth measures more than that, this indicates the formation of a "pocket," or deep area. A pocket forms in an area where the bone has been lost. The deeper the pocket, the more bone has been lost. Initial treatment of periodontitis is done with a procedure called root planing. It is the aggressive removal of subgingival, or below the gumline tartar. Often it is necessary to numb the affected area(s) so that the patient will be comfortable during the procedure. Once the accumulated plaque and tartar have been removed, the gums are allowed to heal and tighten around the teeth. Depending upon the extent of the disease present, multiple visits might be needed to treat this disease. After the treatment has been performed, the person might need to keep the gums disease free by coming back every few months for routine maintenance. This will help prevent the risk of relapse, and possibly further need for future root planing. Another adjunct treatment for pocketing would be the use of chemotherapeutic agents. This is the placement of antibacterial medicine below the gumline in the areas where the initial treatment might not have produced an ideal response. These agents help to kill off the bacteria associated with periodontal disease. Occasionally, even after treatment, a patient might need to be referred to a periodontist, if additional treatment is needed. 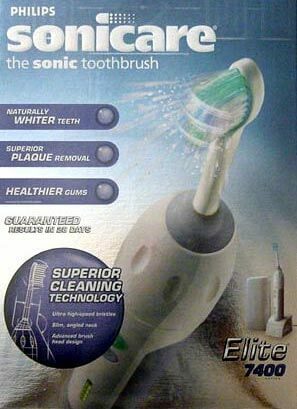 This is the toothbrush we recommend for your periodontal needs and to safeguard the investment you made in your mouth .